Whatever your thoughts on where football may be heading over the next few days, ones thing’s for sure poker arrived home last week as The Poker Room played host to yet another scorching week of GUKPT action. It was the tour’s second trip to London of the year and as predicted it was a huge success with cardroom bustling throughout the festival week. In total the £500+£60 buy-in Main Event attracted 358 entries, creating a huge prize pool of £179,000! 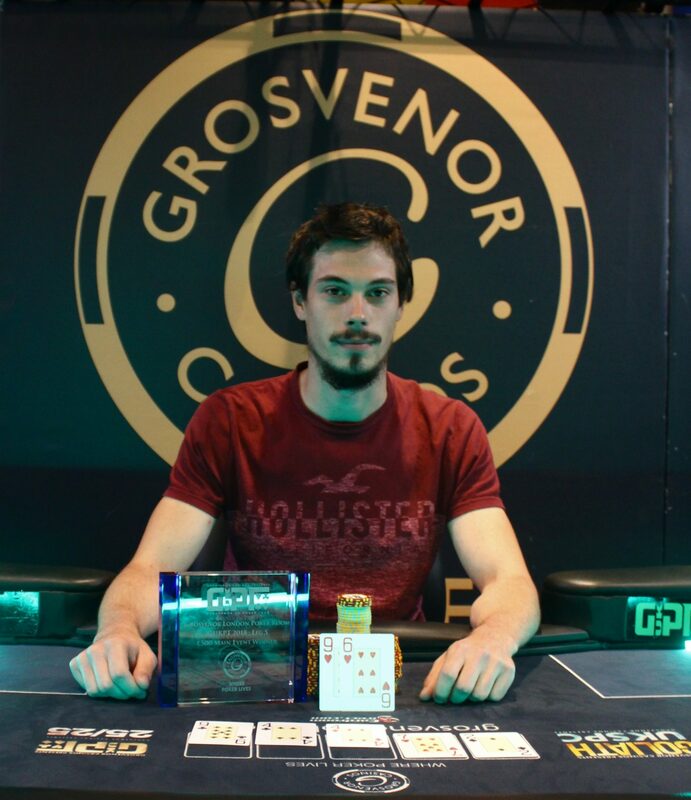 The Poker Room at London’s Grosvenor Casino Victoria regularly welcomes some of the biggest names in UK poker and this GUKPT was no different with the likes of Willie Tann, Martin Bader, Joe Grech and last year’s winner George Alexander all in attendance. However, despite the high calibre of competition it was ultimately 24-year-old satellite winner Patrik Szabo who finished on top, earning himself a cheque for just shy of £50,000! Whilst a relatively unknown name, Hungarian born Szabo impressed through-out the 3-day event. He first discovered poker through his father who taught him the game, and who has continued to mentor him over the years. Turning his satellite entry into such a huge win goes down as his biggest accomplishment to date, comfortably beating his previous best tournament result of £2,000. This is a name to look out for in the future and one we hope we’ll be seeing back at a GUKPT table in the months to come. Final tables at the London GUKPT are often a great showcase of what a diverse and cosmopolitan city London is. This time around we saw UK players joined by those hailing from Singapore, Israel, the USA and Hungary in the final 10. With young guns Mor Kamber, Keith Ongxun and Patrik Szabo lining up alongside UK poker stalwarts such as Kevin Williams, Kevin Houghton and Robert Boon this really was a great mixture of poker talent. The GUKPT now takes a small hiatus as the Grosvenor Casinos’ team turn their focus towards a certain upcoming record breaking poker extravaganza. The Goliath is back and it all kicks off in Coventry on the 25th July, with expectations of yet another poker record being set for the most entries to a live poker tournament outside of the USA. New for 2018, the first prize is now guaranteed at an incredible £100,000. For a tournament with a £100+£25 buy-in that’s a truly incredible amount to play. For everything you need to know about Goliath including travel, accommodation, how to qualify and the full schedule of events; please click here.